This afternoon (September 8), I should have a chance to activate the Carl Sandburg Home again for the ARRL National Parks on the Air program. You might recall, I activated the site Sunday as well. I’ll plan to use the Elecraft KX2 and EFT TRail-Friendly antenna combo once again. I should be on the air starting sometime between 20:00-20:30 UTC (4:00 – 4:30 PM EDT). I’ll plan to operate SSB on two frequencies: 14286 and 7286 kHz. I’ll be on the air for one hour or so, if all goes well. Listen for my amateur radio call sign: K4SWL. If you hear me on the air, please consider submitting a spot to the DX clusters! 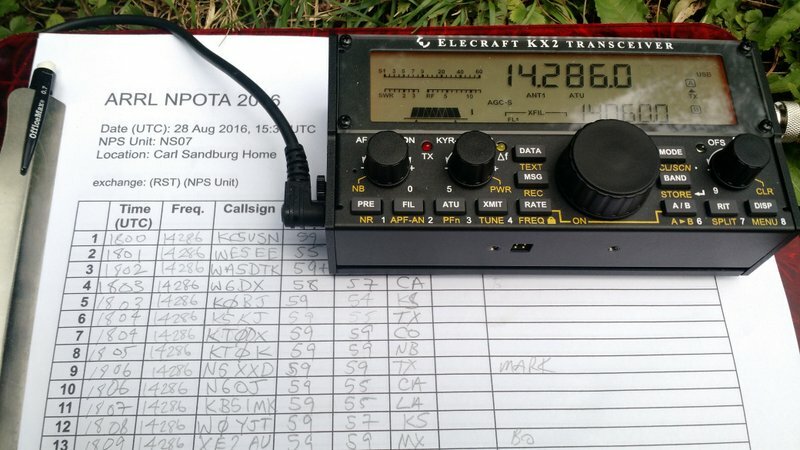 This entry was posted in News, Portable and tagged Elecraft KX2, National Parks On The Air, NPOTA. Bookmark the permalink.